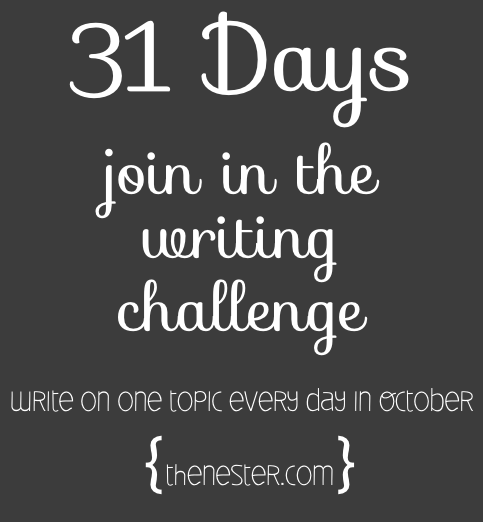 Last October I kinda participated in The Nester's 31 Days, a challenge to blog for all 31 days in October on a topic of your choosing. 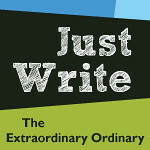 I blogged 8 times in 31 days last year, so not a complete success. However, I made a major change in my life that month that has stuck. I bid farewell to my sweet nectar, my frosty goodness, my dark princess, one of the loves of my life. I quit my daily Diet Coke habit after 31 days of abstinence last October. Sometimes I still take a drink or two (because my husband drinks it) and very rarely half a can. I don't really like how it tastes anymore, and when I drink a little it's usually for the cold crispness or the bubbles on my tongue. I am SO happy I stopped drinking Diet Coke. I know it wasn't great for my health and the effects of it build over time. Plus every day I felt slightly obsessed with when and where I would drink a soda. It was a little too controlling. I have made so many changes to my eating over the past year. I have also learned a lot about various issues I've been plagued with on and off in my adult life. It's been a baby step process. The overall goal being health and wellness. In nursing school it is drilled into us over and over again that family history and genetics are major risk factors in almost every disease process. My family has a history of Type 2 Diabetes, stroke, hypertension, osteoporosis, early hip replacement, chronic fatigue and fibromyalgia. The healthier I can be helps me fight against these odds. Plus I want to feel good! My sister asked me a few weeks ago if I wanted to participate in a Whole 30 with her in October. It's not drastically different from my current eating habits, but enough to make it a challenge. My stomach is extremely sensitive and I want to heal it. Then I remembered the 31 Days challenge and thought it would be a great way to keep me on track and excited about Whole 30. So here goes! For the next 31 days I will share various things I've learned about nutrition, health, wellness, gut health and what I'm eating on Whole 30. I can't promise there will be 31 days of posts (you know--nursing school, 3 kids etc) but maybe you can learn with me along the way. I just drank my last cup of coffee for a month, and that is a little sad. I love coffee. Not for the caffeine,but for the morning routine of a hot, robust drink. And coffee in and of itself isn't bad for you, but it can slow the gut healing process and it's good to give it up a few times a year to reset your body. But that's how dedicated I want to be to this--I will give up my coffee for a month.